Minitokyo »	Peko Scans » Peko: Starlight, Starbright. Found in a torrent pack of anime images, and the original source is from the Peko no Kiseki artbook. 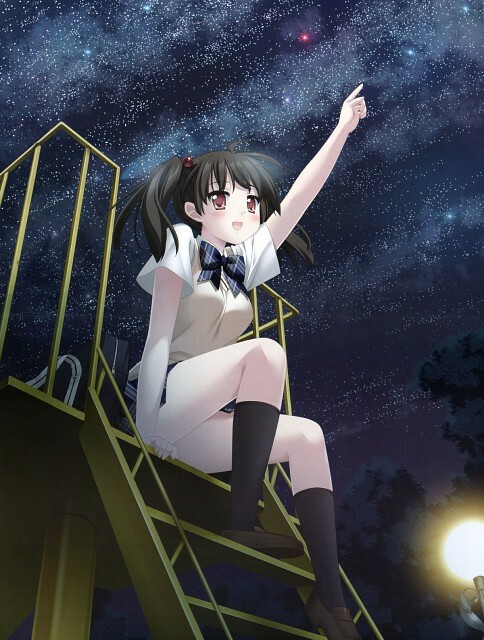 A schoolgirl taking in a majestic sight of the stars in the sky. Browse Peko Gallery: Recent | Popular.